Nestled above the charming fishing village of Gaios, this beautiful stone villa boasts mesmerising views over the village and across the Ionian Sea to the mainland in the distance. this property is set within the countryside, along a small track road, amongst lush olive groves, providing an ideal location for those wishing to relax in complete privacy. The property itself has been tastefully furnished throughout enjoying an open plan design with beamed ceilings and tiled floors. Patio doors lead out to a wonderful covered terrace, offering welcome shade from the midday sun, which overlooks the pool and out to sea. The traditional little fishing village of Gaios, offering its' great selection of amenities and local tavernas, can be found within a 5 minute drive down the hillside. 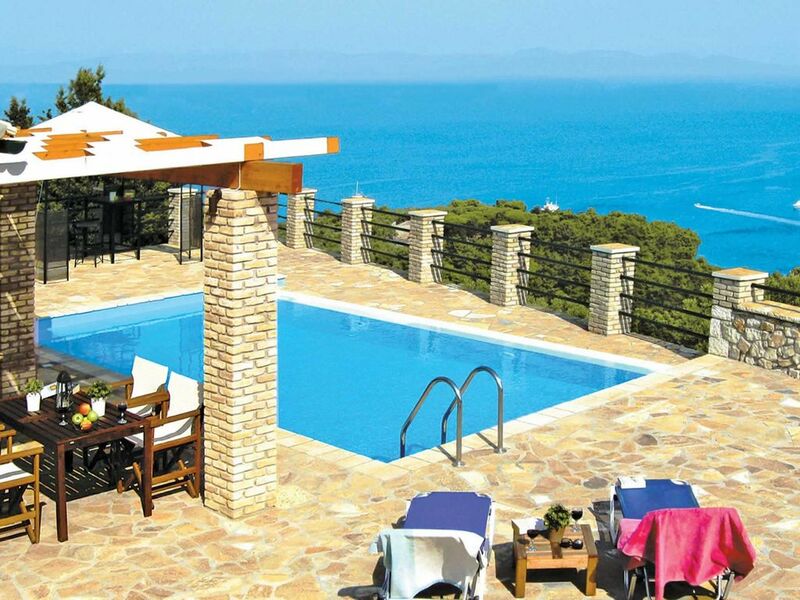 This is a beautiful 2 bedroom property located in Ionian Islands, Greece. This villa, in Klonátika, is a comfortable property sleeping 4 people. The villa offers superb accommodation, including modern luxuries such as air conditioning, DVD player, internet access and a swimming pool.